Pressure washers are great tools in cleaning the households and driveways. They have many benefits, from saving time and efforts to giving you professionally cleaned surfaces. Due to their very effective cleaning, they’re not only restricted to household usage. 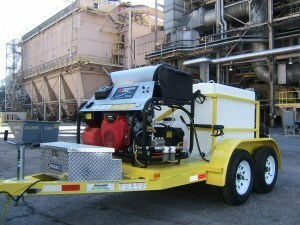 Many industrial scale applications are there for these pressure washers, where they are used extensively on the large scale. When we’re talking about large scale, there are surely some tips which you may need to read and apply in order to get the maximum out of them. The large scale working with a tool is always critical since you have to look into various parameters and product details to get maximum output. These tips are surely going to help you with the industrial usage of best pressure washers. Test runs are important, don’t straight away start using the tool. Check the pressure you need, nozzle you need and kind of stream you need before you finally start using the tool. If you don’t test run, you may end up with a heavy recoil or damage the cleaning surface. Pressure tests are most important, you should check the pressure, regulate it with the help of pumps. Since you’re running on a large scale, you should definitely do the test runs. Choose the nozzle depending on the type of surface cleaner and type of cleaning. Nozzles are available as 65 degrees. 25 degrees and blaster. There are also rotatory nozzles present to clean the surface. Then there are professionals surface cleaners, which could be used after detergents. Use chemicals and detergents that best suit the surface. Detergents are extensively used for cleaning the surface, and on an industrial scale, they’re strong. But you have to keep in the mind that some chemicals can degrade the whole surface. Some chemicals and detergents can’t flow through the same nozzle. There are nozzles specially designed to let solution flow through them. Know what nozzles to use with a particular solution. Check all the connections and valves before starting the power washer, you should be very sure of the fact that it is running safely. The pump has parts that could be critical for the running, you should check all the settings. Before rinsing, pause for a moment for making the best of the cleaning. Make the detergent to stay on the surface before you finally rinse it to make the cleaning perfect and effective. All these tips can ensure you safe, effective and secure working environment around the power washer. Industrial pressure washers should be handled with care. Test runs are important before you finally clean the surface. Also, maintain them is a tidy job. You have to oil and see the parts are running fine. If you want to know about power washer then click this link.